The green pigs have stolen the eggs of the birds to force the Angry Birds to go in search of the stolen eggs. Steal the eggs before their embryos are born in a world full of Bad Piggies. 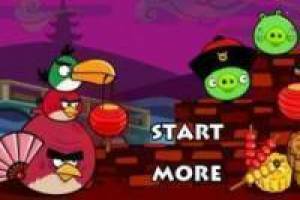 Enjoy the game Bad Piggies steal the eggs of the Angry Birds, it's free, it's one of our angry birds games we've selected.